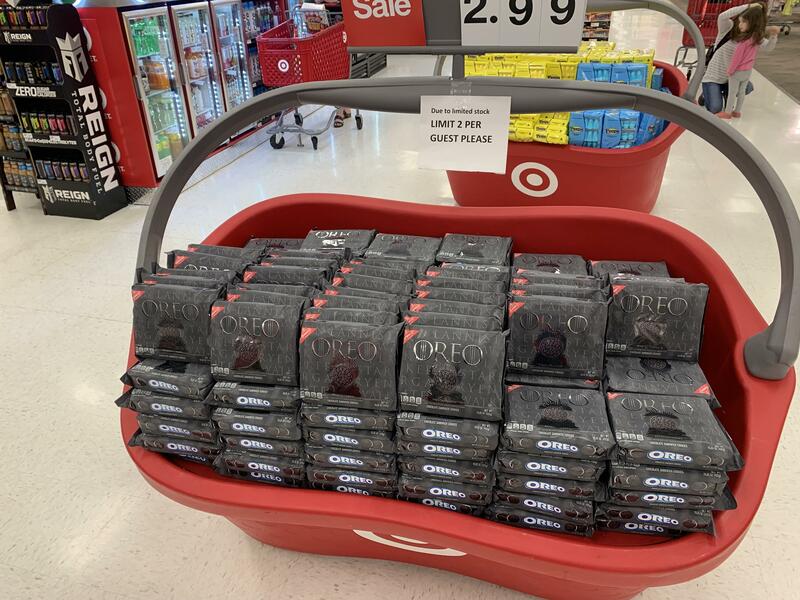 Not my store took this pic from reddit. 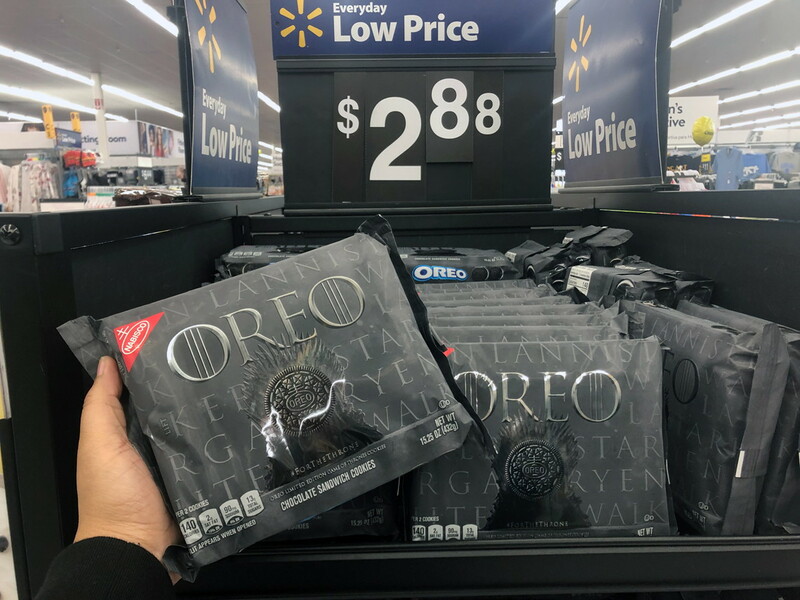 HBO is really going all out. There's even a Johnny "White" Walker. Should I really be worried about resellers? Of course they're going all out, gotta get that last minute merchandising money. They spent $15 million per episode to make the darn season, lol. I don't blame them. It's getting downright Disney with all this product endorsement. My store mocked me all day aboug putting it over the walkie. Except the person that answers the phone. She thanked me. In non oreo news- how bad is it not to place an FDC order? Other stores where the melon was shipped include Kroger grocery stores, Whole Foods and Trader Joe's. How is everyone doing zoning with the fresh/frozen trucks? You only get 30 minutes to keep the food on the floor to stay in temperature. I noticed today that my backstock on my fast movers was warm after zoning. So out of curiosity, I tempted my backstock and it was at 40° now the food is in the danger zone. Get those 9 pallets into coolers in 30 minutes. 1 tm break down dairy onto uboats 30 mins per pallet for break down 4 pallets = 2 hrs for breakdown. 2 tm push dairy uboats. 2 uboats per hour. 1 tm break down produce 20 mins then push for 40 mins. 5 pallets = 5 hrs for produce. How does your dry factor into that?someone has to do cafs? We had 3 others in today 1 on cafs and 2 on dry it was back to normal size today. I wish that worked in my store. Get two uboats from the flow team if you’re lucky. Break down pallet onto boat. Team members each work their own area dairy/meat/frozen/open market. Struggle because guests don’t look for anything for themselves. It’s a mess. The fdc people refuse to be flexible and work other areas. Also doesn’t help they’ve given up hope and are slow and just don’t bother staying even though they complain about not getting hours but refuse to stay. I just need to get the tl spot and get it in my etls head to finally replace them. And yeah our schedule is always so staggered it’s like one dry person at 6-7, then open market at 9:30/10 followed by one person every 3-4 hours with maybe an hour of overlap between each. My one question here would be .... why doesn't Spot schedule them time it will actually take to do the work? If you are asked to stay, stay, stay, it makes me wonder why the schedule just doesn't reflect that need. It is a schedule for a reason. I understand and one of the bigger issues is that we don’t get enough hours in the food department. Even our food director says we operate like 40-50 hours under what he thinks should be sufficient for a nice brand, but because our dtl won’t give us that many things suffer. Also doesn’t help that the food tl that came in just hangs out in the tl office all day yet is one of the 3 people scheduled in consumables on most truck days. My store usually gets 1000+ piece dairy pallets and usually another 4-5 pallets of frozen, plus another 2-3 for Meat, and another 4-6 for Produce. it's a helluva truck to receive every day. Do we ever get clean? Yes... but takes us literally our entire shifts to do it. Kind of wish we at least had a closing person here on week days to do all of the things we couldn't do (cafs, audit, check dates, zone) but my team leader doesn't think it's 100% important. My store is a superfresh. Remodeled down in size and the coolers are on the opposite side of the store. But yet the fdc still pushes random things on us like we’re a super.